Since its inception, Adopt4Life has directly enabled more than 800 adoptive parents to support their children in realizing safe, healthy, and permanent family connections. More than 260 of those families have received direct support from a Parent Liaison since our partnership with the Ministry of Children and Youth Services (MCYS) was formalized. While those numbers are impressive, the true impact is much larger, touching not only adopted children and their parents, but also grandparents, other extended family members, kin, and cultural communities across Ontario. As Minister Coteau noted in his statement, adoption is a lifelong journey for children and parents; and at every step along the way, having the critical peer supports that Adopt4Life provides is essential. 90% strongly agreed/agreed that the supports provided through the P2P network helped keep children with serious challenges safe. 94% of adoptive parents strongly agreed/agreed that the P2P network helped their family move forward with an adoption. 96% strongly agreed/agreed that the P2P Network increased the stability of their family. 100% strongly agreed/agreed that the P2P network helped to decrease feelings of isolation amongst parents. Source: ‘2017 Adopt4Life Parent2Parent Support Network Program: A Comprehensive Evaluation’ by Sarah Serbinski, PhD. Reflects responses by adoptive parents asked whether they agreed that the Parent Liaison created a specific outcome for them. These results demonstrate the positive impact that your support for Adopt4Life and the Parent2Parent Support Network has had on Ontario families. We are grateful to your Ministry for investing in permanency for adoptive families and championing the critical importance and value of peer support for adoptive parents. 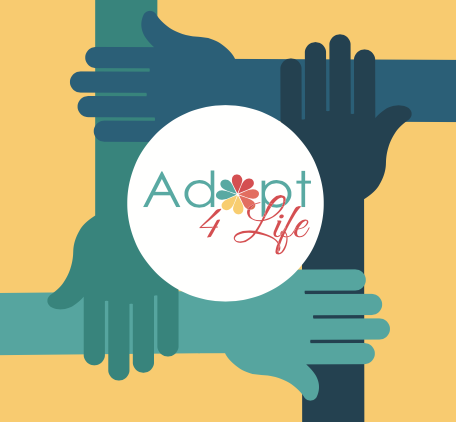 We look forward to continuing to partner with you to expand Adopt4Life’s Parent2Parent Support Network, and to empower more parents to provide loving, permanent homes for children in Ontario who need them.